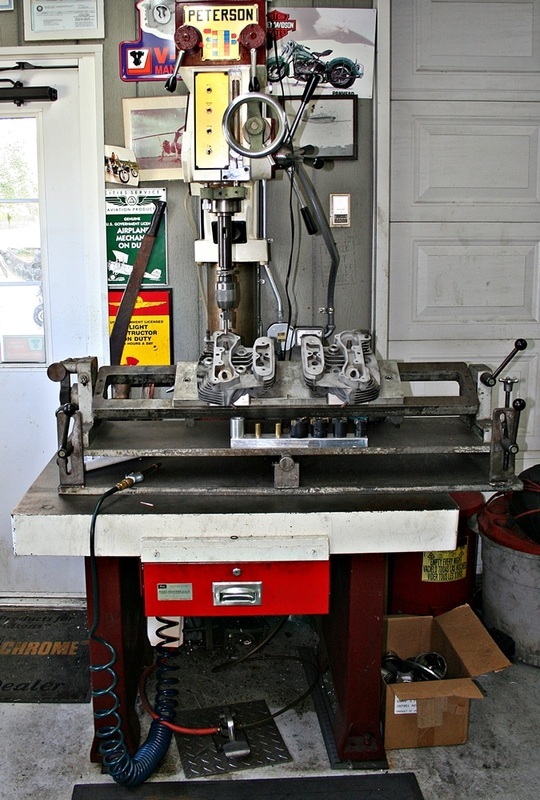 Our dedicated cylinder head porting station (below) is getting ready to clean up the intake and exhaust ports on a pair of 883 heads. 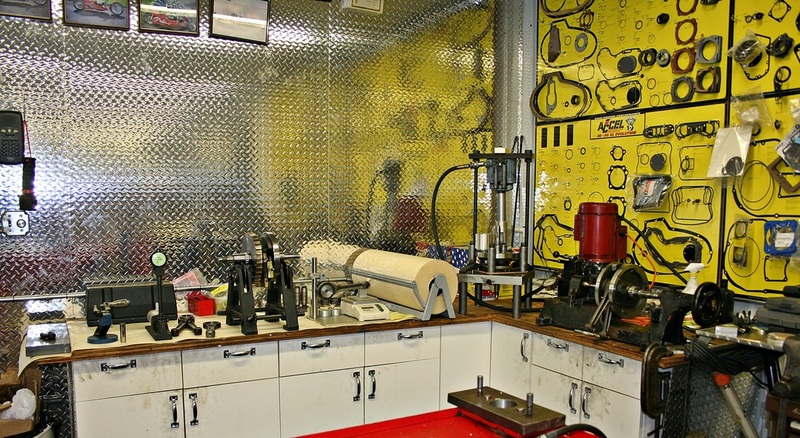 Our manual value guide and seat station is set up with seven different machines to do all models and years of Harley Davidson's. We are also government licensed for all air cooled aircraft cylinders. 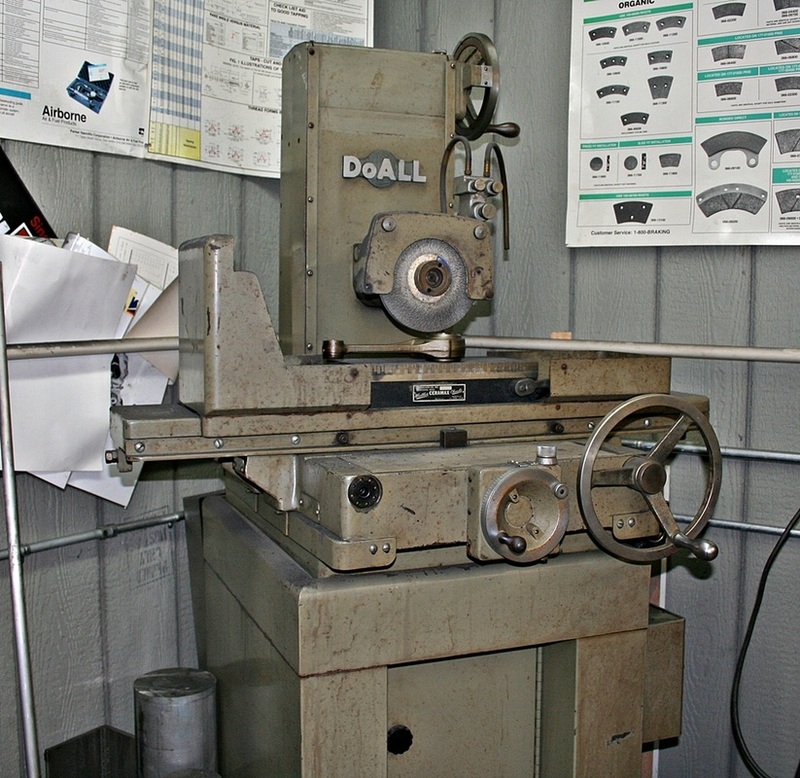 Machining a set of Shovel Heads to install compression releases. 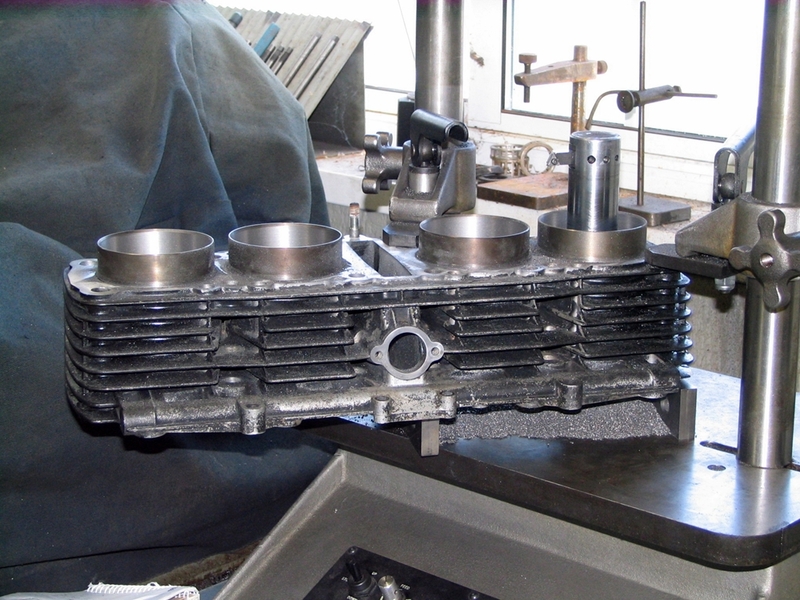 Compression releases can be installed in most models and years of Harley Davidson and other V-twin style engines. 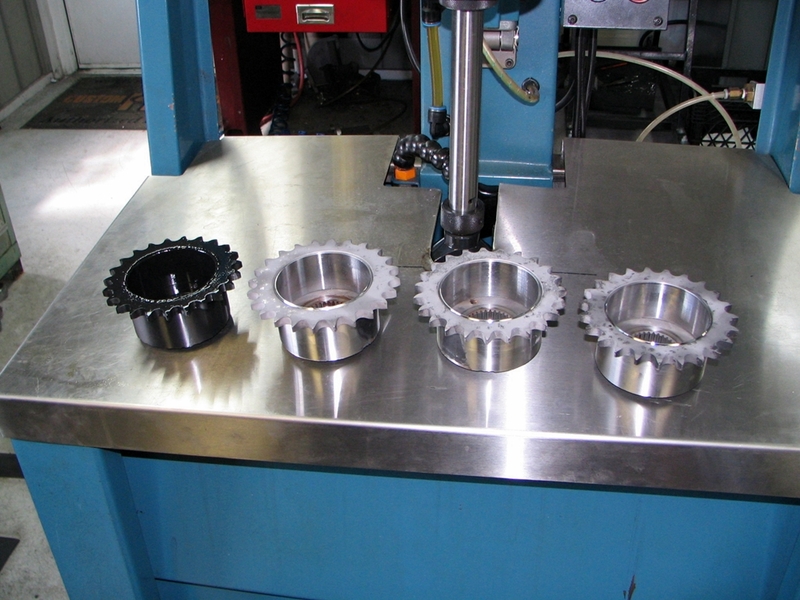 A set of shovel heads being machined to convert to dual plugs. 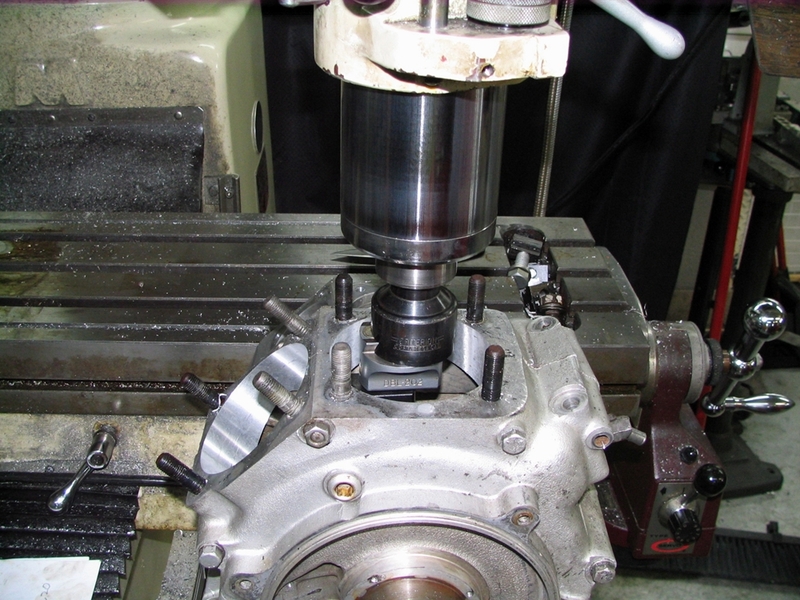 Re-machining the base of a EVO cylinder to stop a unwanted oil leak, at base gasket. 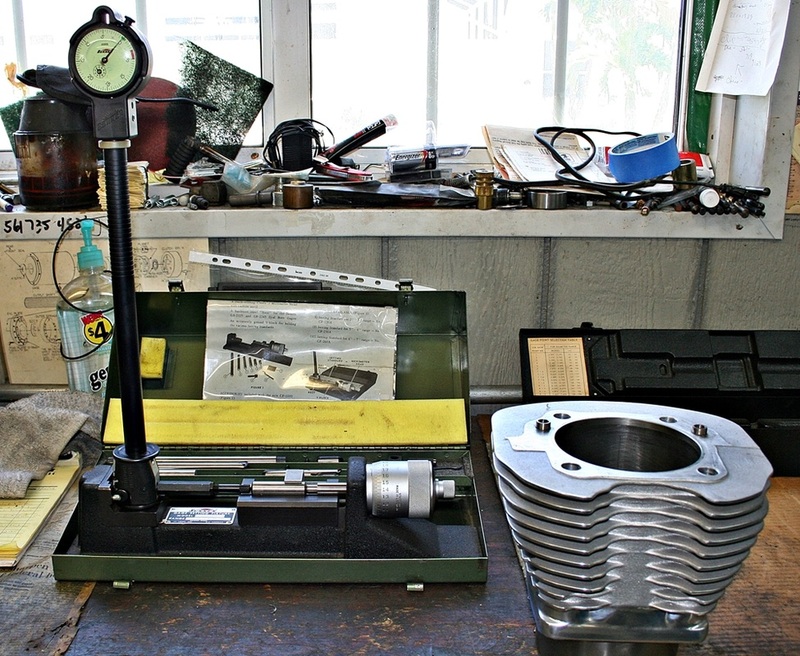 124 S&S cylinder being measured up to get ready to be bored and honed to the next standard size. Harley Davidson female connecting rod (below) being touched off after installing new bearing races for rod rebuilding. 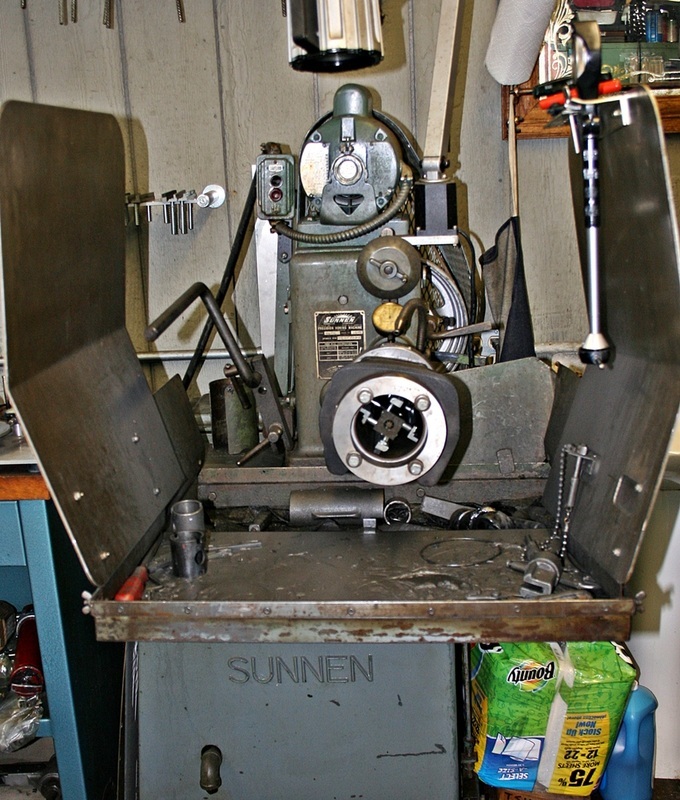 All cylinders are finished by hand with torque plates to factory standards using this Sunnen honing machine. 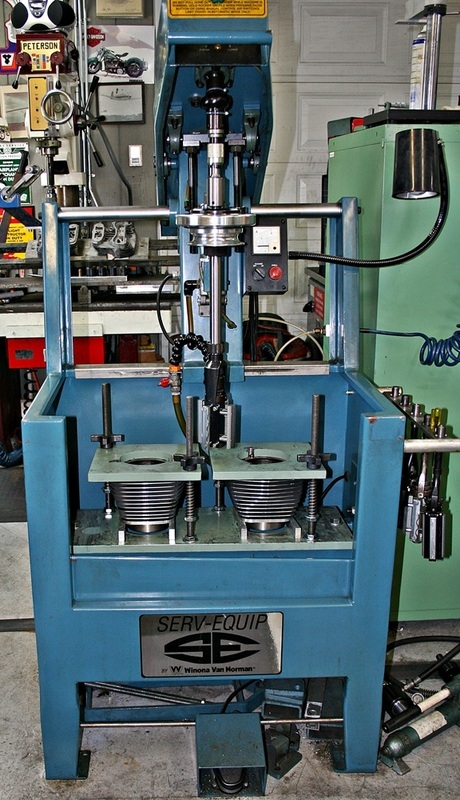 Power stroke honing machine with Sunnen finger friction head. 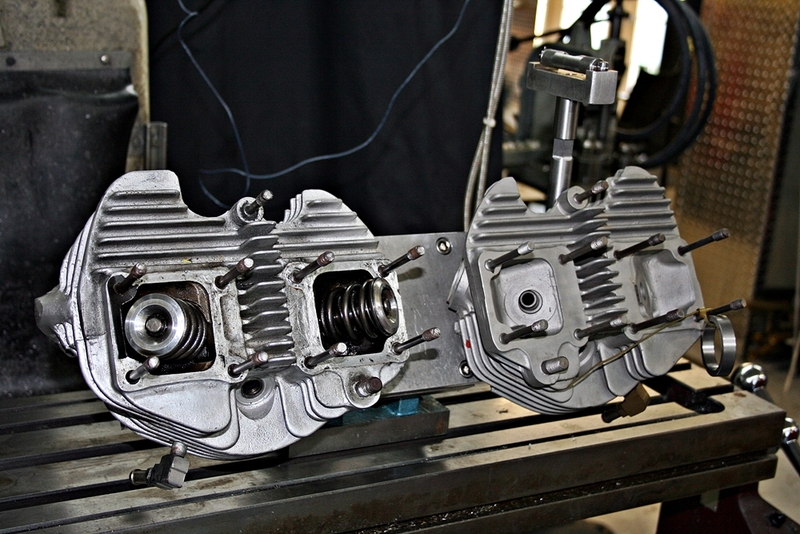 In process of honing a pair of 95 CI twin cam cylinders. Machining an over-sized shovel value guide to proper size. All seats and guides are bought in the largest size available so they can be machined to factory interference tolerances. 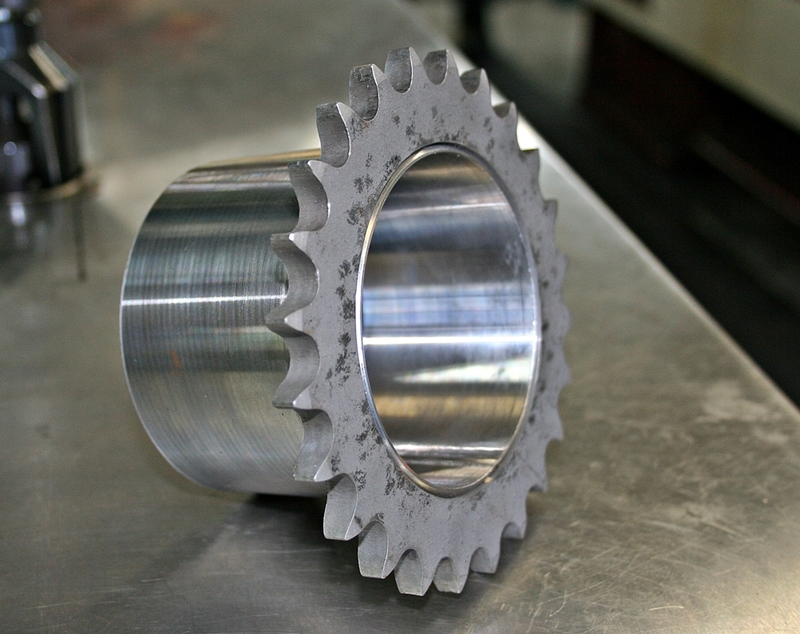 We manufacture a complete line of sprockets for wide tire applications for all models of Harley Davidson. 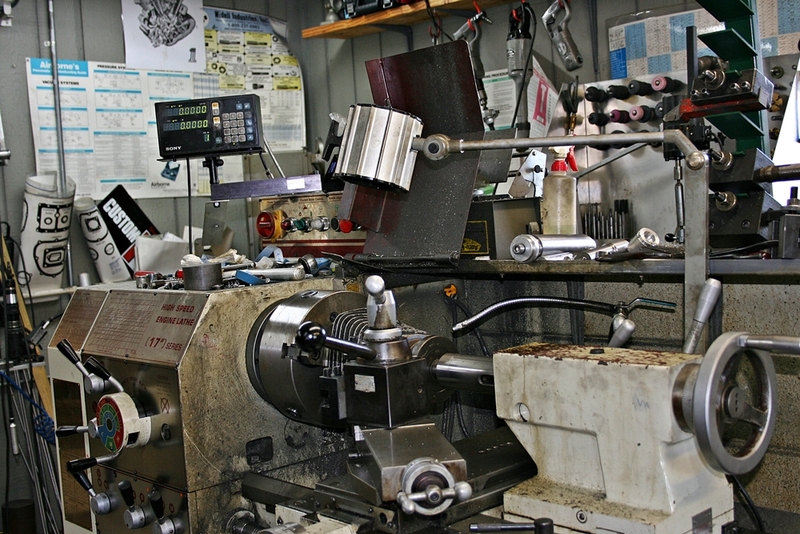 Motorcycle Machine Shop Services offers a complete line of crank shaft rebuilding services for all models and years of Harley Davidson's and after market V-twin engines. 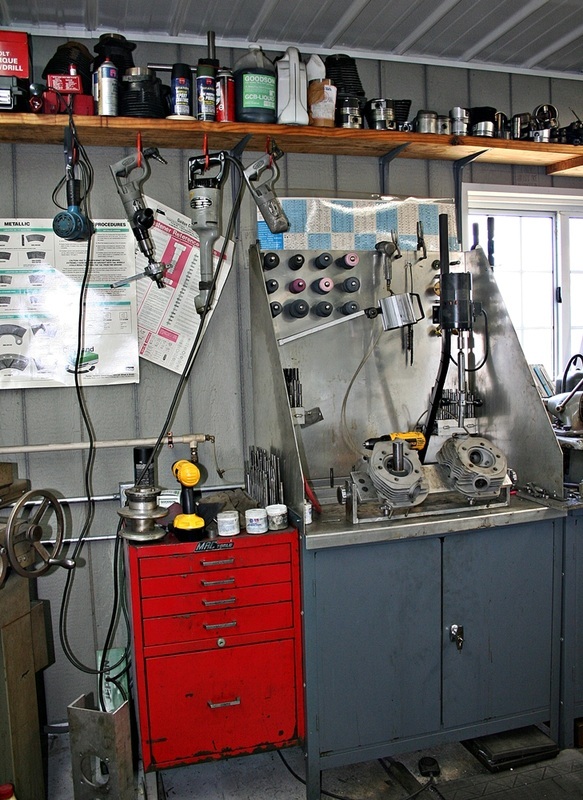 As long as bearings and races are available we are able to rebuild units to new specifications. 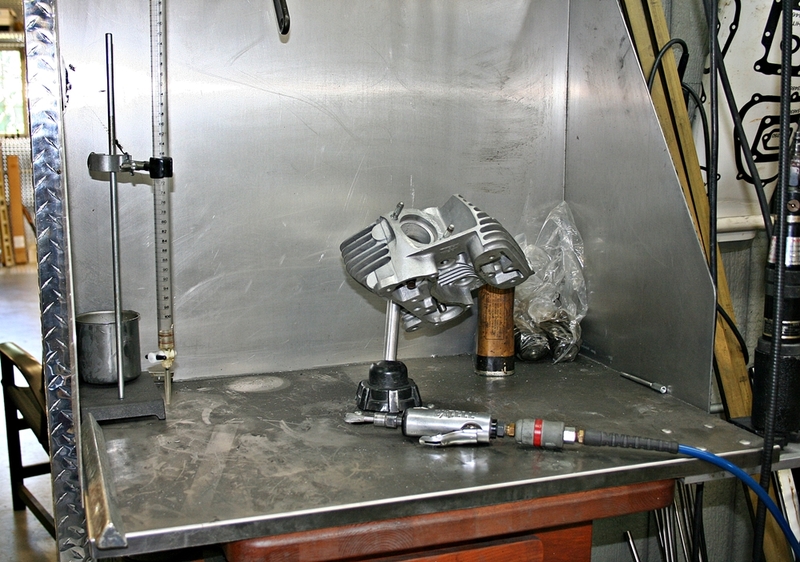 On occasion we stray on the dark side boring Kawasaki cylinders for a big bore it is. 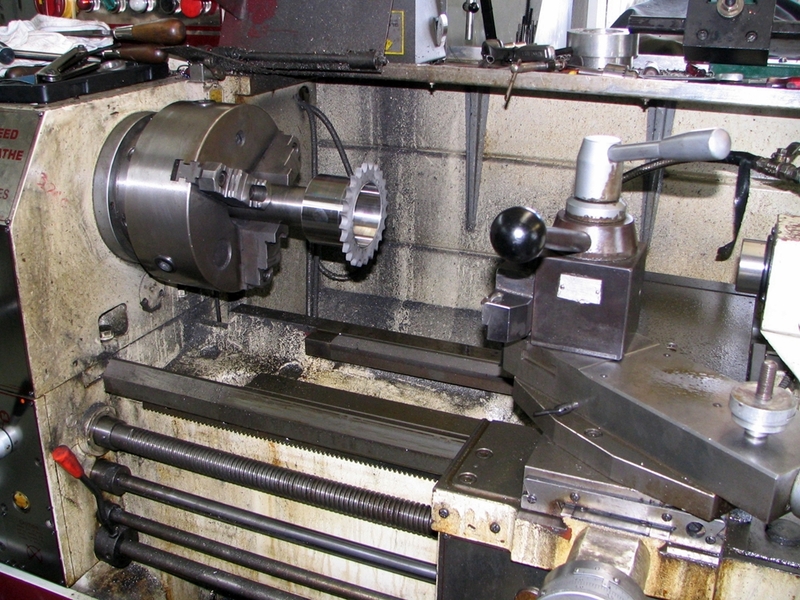 Finish machining 23 tooth 2.375 offset for a 360 tire, run-out is within .001. 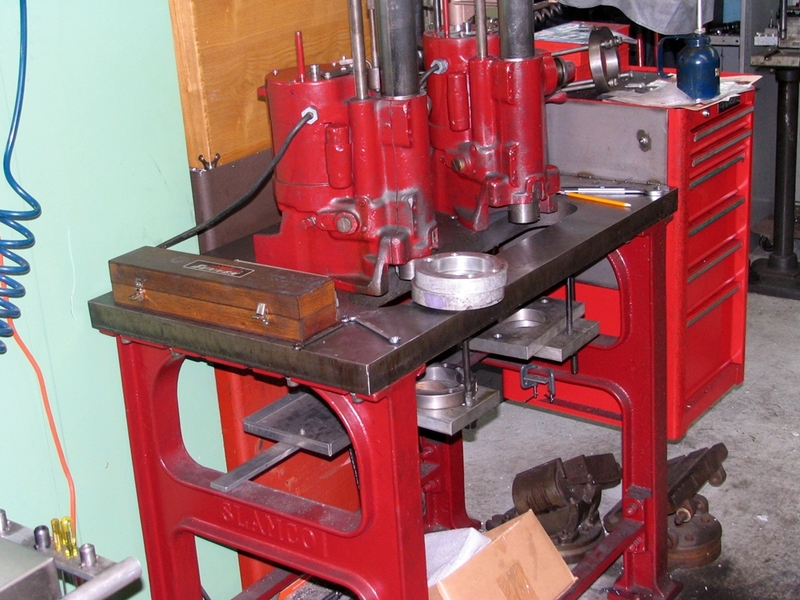 Boring cylinder syphones (bore) for over size cylinders. 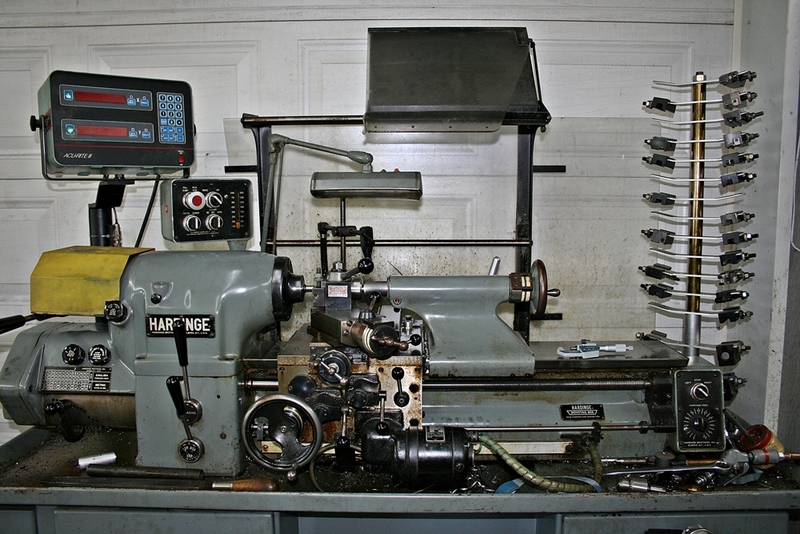 Our boring table, equipped with 2 Van Norman 777S boring bars, was manufactured in-house. 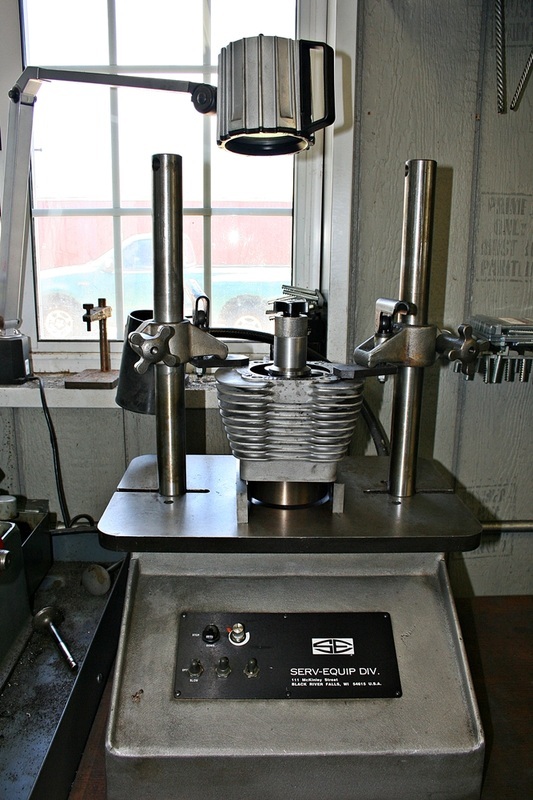 It has a 2 inch thick table and blancher grounds, which is designed for all aspects of V-twin boring.